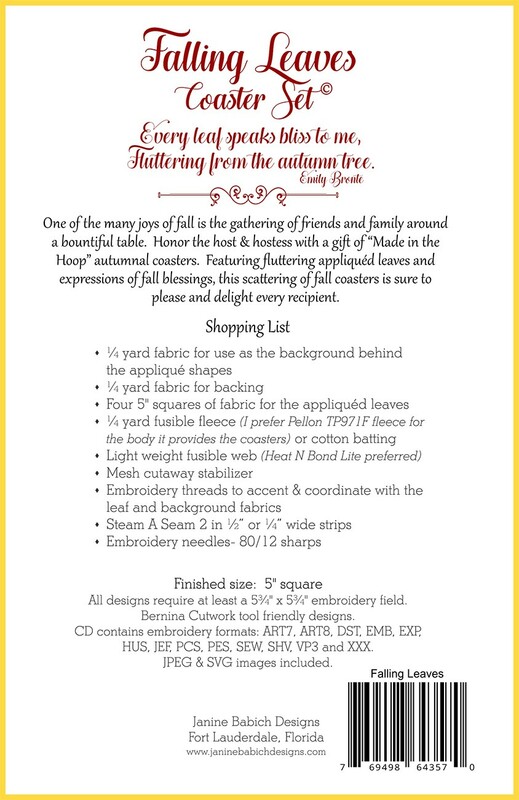 One of the many joys of fall is the gathering of friends & family around a bountiful table. 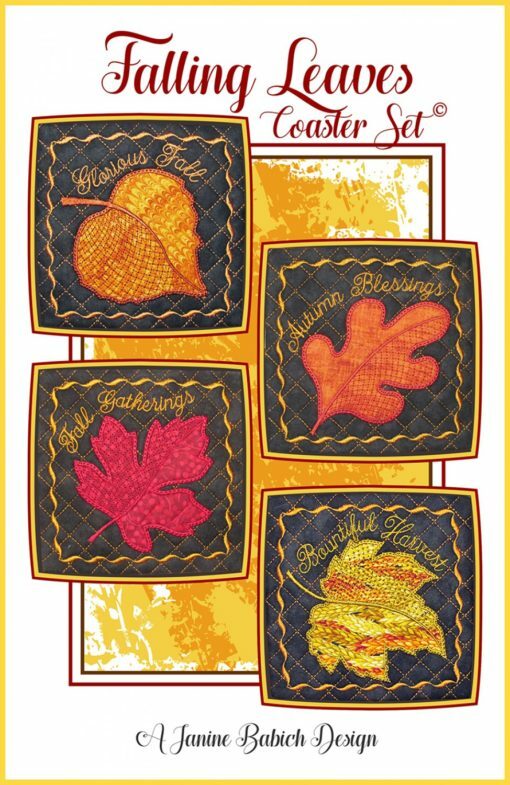 Honor the host & hostess with a gift of “Made in the Hoop” autumnal coasters. Featuring fluttering appliqued leaves and expressions of fall blessings, this scattering of fall coasters is sure to please. Hoop Size(s): 5-3/4″ x 5-3/4″ minimum embroidery field.